Culinary art involves the arts of cooking and baking as well as related aspects of food preparation and presentation. Culinary artists are frequently chefs and cooks who prepare food for restaurants and catering services. They strive to present food artistically, so that it is pleasing both to look at and to taste. Other culinary arts professionals include food writers and critics, food photographers and stylists, and those who work in test kitchens doing nutritional research as well as menu and recipe development. 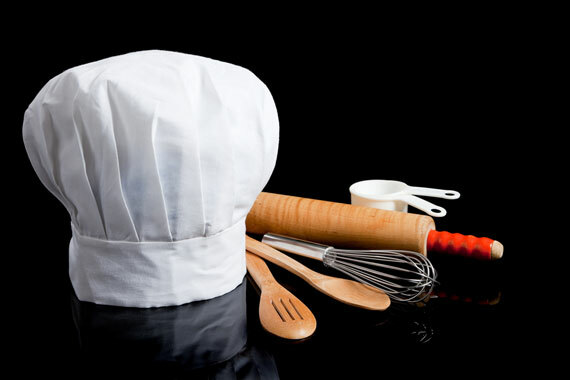 The Culinary Institute of America offers training in the culinary arts and the baking and pastry arts, while the American Culinary Federation offers educational programs, competitions, and certifications in the culinary arts. Consumers and family members increasingly want delicious, attractive foods that meet high nutritional standards. For quality-conscious consumers, our chocolate, coffee, and gourmet food websites offer information and reputable sources for these foods and beverages. For home chefs and bakers, our cake decorating and chocolate chip cookie websites feature suggestions and tips about decorating beautiful cakes and baking delicious cookies. However, the websites listed on this culinary arts page include not only gourmet food information but also food and nutrition resources produced by government organizations and medical professionals. In addition to these sites, you will also find information about food preparation and food presentation as well as the kitchen gadgets and appliances used by gourmet cooks and professional chefs. Learn about the tools and techniques of decorating cakes for special occasions. Try the time-tested chocolate cookie recipe, and shop for gourmet chocolate chip cookies. Learn about cocoa beans and the different types of chocolate. Shop online for gourmet chocolates and chocolate gifts. Overview of coffee varieties and processing methods. Find gourmet coffee, coffeemakers, and espresso beans. Learn about the pros and cons of copper cooking utensils, and find copper cookware manufacturers. Learn where to shop for gourmet foods and gourmet gift baskets. Guide to kitchen appliances. Both small appliances and major appliances are discussed on the website. Learn about basic nutritional requirements and the USDA food pyramid. Find information about vitamins, minerals, herbs, and nutritional supplements. Raspberries are a popular type of food berry grown widely throughout the United States and Canada. This website explains how to grow raspberries and features a useful table of raspberry varieties. Our culinary arts-related video resources include an espresso machine brewing two shots of espresso.